Today, bin Laden remains stubbornly alive, as demonstrated by another audiotape released in recent weeks in which he offered a truce to the United States, should it withdraw its troops from Afghanistan and Iraq, and vowed never to be taken alive. Indeed, he has proved such a successful fugitive that it’s worth asking some of the questions that underlie the continuing U.S. efforts to track down the al Qaeda leader: Does finding him really matter? What makes him so difficult to capture? And, if Osama bin Laden is finally located, would it be better to capture him or to kill him? According to recent USA Today polls, seven out of eight Americans believe that it is important to capture or kill bin Laden, while 75 percent believe he is planning a significant attack on the United States. These numbers suggest that bringing bin Laden to justice would be a key psychological victory in the war on terrorism. There is another reason that finding bin Laden and his top deputy, Ayman al-Zawahiri, is important. Bin Laden may no longer be calling people on a satellite phone to order attacks, but he remains in broad ideological and strategic control of al Qaeda around the world. An indicator of this is that two years ago Abu Musab al-Zarqawi, the insurgent commander in Iraq, renamed his organization al Qaeda in the Land of the Two Rivers and publicly swore bayat , a religiously binding oath of allegiance, to bin Laden. Moreover, the 35 video and audiotapes that bin Laden and Zawahiri have released since 9/11 have reached tens of millions of people worldwide through television, newspapers and the Internet, making them among the most widely distributed political statements in history. Those tapes have not only had the effect of pumping up al Qaeda’s base, but some have also carried specific instructions that jihadists have acted upon. In 2004, for example, bin Laden offered a truce to European countries willing to pull out of the coalition in Iraq. Almost exactly a year after his offer expired, explosions on London’s public transportation system killed 56 people. On a subsequent videotape, Zawahiri explained that the bombings came as a result of the British government ignoring bin Laden’s offer. Rumsfeld has a point. It can be difficult to find any fugitive, even one who stands out as much as bin Laden (who is 6 foot 5). Think of Eric Rudolph, the object of one of the most intense manhunts in U.S. history, who remained on the run for five years after bombing Atlanta’s Centennial Park during the 1996 Olympics. Or the alleged Bosnian-Serb war criminal Gen. Ratko Mladic, whose arrest was reported and then denied by Serbian authorities last week — more than a decade after he was indicted for genocide. Now imagine the challenge of capturing bin Laden, who is likely in Pakistan’s North-West Frontier Province (NWFP) on Afghanistan’s border — an area of 30,000 dauntingly inhospitable square miles. The United States has had some success locating terrorists in Pakistan. Mir Aimal Kansi, who killed two CIA employees in 1993 outside the agency’s Langley headquarters, was tracked down four years later in the obscure town of Dera Ismail Khan. His capture was the result of a carefully cultivated network of informants and the payment of a substantial reward to the person who dropped a dime on Kansi. There doesn’t seem to be much intelligence about bin Laden’s exact whereabouts. The conventional wisdom is that he is somewhere in the tribal belt along the Afghanistan-Pakistan border, but it is clear from the most recent videotapes of bin Laden and Zawahiri that they are not living in caves. Both men’s clothes are clean and well-pressed, and the tapes that they have released are well-shot productions suggesting access either to electrical outlets or generators to run lights. Their statements have also been notably well informed about what is going on around the world. In his most recent videotape bin Laden made a reference to the scene in Michael Moore’s “Fahrenheit 9/11” where President Bush continued to read a story about a goat to a kindergarten class after he had been informed that passenger jets had crashed into the World Trade Center. Comments like that suggest that if bin Laden and Zawahiri are indeed in the tribal areas, they are in a compound either in, or near, one of the larger towns with access to modern amenities. One U.S. military official familiar with the hunt told me he believes bin Laden “has been hunkered down in one place for a long time,” making it harder to track him, whereas Zawahiri is “more operational and is moving more.” That may explain the U.S. air strike aimed at killing Zawahiri last month in the village of Damadola, on Pakistan’s Afghan border. It resulted in the death of five alleged terrorists, but about two weeks later Zawahiri released a videotape thumbing his nose at President Bush. Probably not by signals intelligence generated from phone calls. Bin Laden had been careful not to use satellite or cell phones since long before the 9/11 attacks. According to his media adviser, Khalid al-Fawaz, whom I met in London in 1997, bin Laden had already learned to avoid electronic communications. Bin Laden has released only one tape in the past 14 months, possibly because al Qaeda leaders are aware that every time they do so, they open themselves to detection as the chain of custody of these tapes is the one sure way of finding them. One possible vulnerability is bin Laden’s immediate family, with whom he may remain in contact. Three of bin Laden’s wives, along with a dozen or so children, chose to remain with him when he adopted the jihadist life. After the fall of the Taliban they all disappeared. My hunch is that they are under the protection of Jalaluddin Haqqani, a formidable Taliban commander who has known bin Laden since the 1980s. Haqqani’s forces are spread from Khost in eastern Afghanistan to Waziristan in western Pakistan, sites of some of the most intense recent fighting. Are we getting the help we need? Pakistanis certainly feel that they have done more than their share. Gen. Pervez Musharraf, Pakistan’s military dictator, has survived at least two assassination attempts engineered by al Qaeda and its affiliates in the past two years; hundreds of his security and army personnel have been killed, and Pakistani law enforcement has participated in the arrest of half a dozen key al Qaeda operatives. But the continuing presence of its leaders in Pakistan indicates that al Qaeda has found a congenial place to relocate itself, close to its former bases in Afghanistan. Bin Laden has long enjoyed popularity among Pakistanis. In 2004 a Pew poll found al Qaeda’s leader had a 65 percent favorability rating. However, in a poll released in mid-December by ACNeilsen Pakistan the number of Pakistanis expressing a positive view of bin Laden had fallen to 33 percent. This comes at the same time that Pakistanis are expressing more favorable views of the United States — 46 percent — as a result of American relief efforts following October’s devastating earthquake. Perhaps these more positive attitudes about the United States provide an opening that President Bush can exploit on his upcoming trip to Pakistan to advocate for some kind of role for U.S. forces on the ground in the tribal areas. Right now the key weakness in the U.S. hunt for bin Laden is that its soldiers are not allowed to operate openly on Pakistani territory. Granting such a request would entail political risks for Musharraf, who is widely seen as a stooge of the Bush administration (and often referred to as Busharraf). Of course, bin Laden may make a mistake that reveals his location and makes him vulnerable to American Predator drones. If the United States felt it had intelligence about bin Laden’s location, the pressure to launch a missile strike immediately would be intense, despite the risk of his ensuing martyrdom and a rash of anti-American attacks. 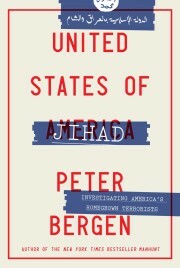 Peter Bergen is a fellow of the New America Foundation and the author of “The Osama bin Laden I Know: An Oral History of al Qaeda’s Leader” (Free Press).